Sam’s Club soon plans to open a new, smaller club in Dallas that will serve as an incubation site for future store concepts and technology. 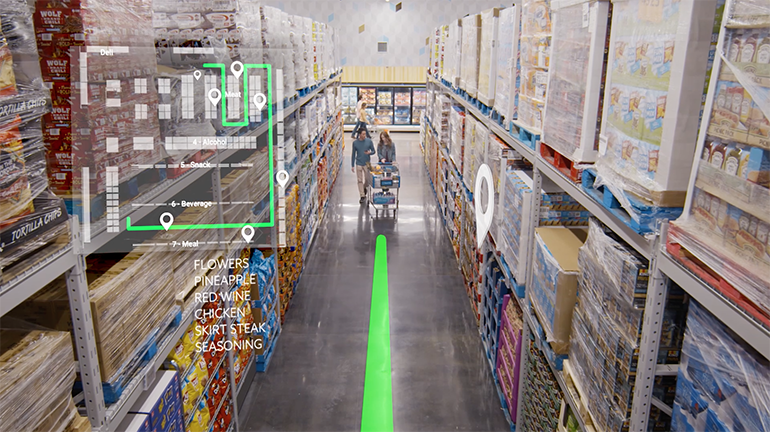 Called Sam’s Club Now, the 32,000-square-foot location — about a quarter of the size of a typical Sam’s warehouse club — will pilot technologies to promote a more interactive shopping environment in-store and fine-tune the omnichannel experience. Jamie Iannone, chief executive officer of SamsClub.com, unveiled Sam’s Club Now in a blog post on Monday. In June, he had hinted at a high-tech club concept being planned for a fall opening in the Lower Greenville neighborhood of Dallas. Though not disclosing an opening date, Iannone described Sam’s Club Now as the “epicenter of innovation for Sam’s Club,” noting that the location will leverage such technologies as computer vision, augmented reality, machine learning, artificial intelligence and robotics, among others. Also on hand will be a new associate dubbed the Member Host, who will serve in a concierge-style role to help customers get the most out of their shopping trip using the new tech tools. 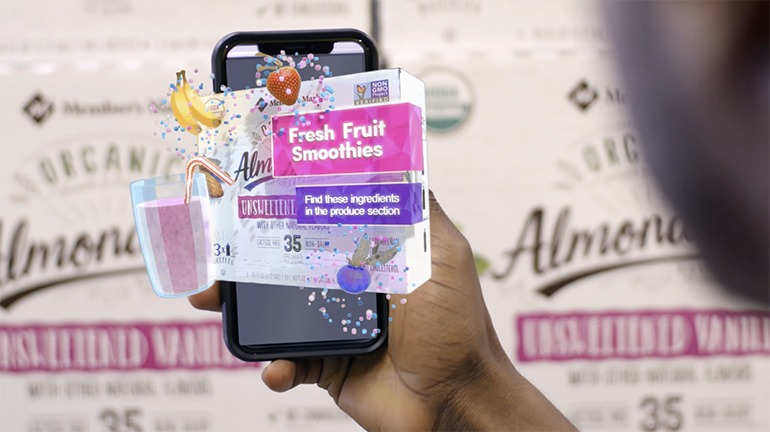 Augmented reality technology will help “bring items to life in the club” by creating new ways to use them and highlighting cool product features. Members will shop via the new Sam’s Club Now app, which Iannone said will work off the chain’s Scan & Go technology. Through Scan & Go, customers scan and bag items as they shop and pay directly via their mobile phones, without having to wait in line at the register. They then just show an associate their digital receipt when they exit the club. Scan & Go’s popularity has climbed since its launch two years ago, according to Iannone. More than 90% of members who try Scan & Go use it again on their next trip, and regular use has risen 40% this year, he reported. Among the key shopping features at Sam’s Club Now are smart shopping lists, which employ machine learning and purchase data to auto-fill a member’s shopping list. As items are scanned, the list automatically updates and move them to a mobile basket. Shoppers also can remove items. Members, too, will be able to get around the club more easily using voice search and new wayfinding and navigation features, which can provide a pop-up map that takes members to what they need. Members will be able to get around the club more easily using voice search and new wayfinding and navigation features. “Eventually, we’ll be able to use beacon technology and a member’s smart shopping list to map the best route through the club,” Iannone noted. Meanwhile, augmented reality technology will help “bring items to life in the club” by creating new ways to use them, he added. “We’ll work to integrate stories that highlight cool features, including how items are sourced. We also have plans to use augmented reality to transform members’ digital carts into pirate ships. Or maybe you’d prefer a rocket?” Iannone wrote in the blog. Also through the Sam’s Club Now app, members will be able to place and pickup an order within an hour. Given its smaller size, the Sam’s Club Now store will carry a limited number of items, spanning 1,000 to 2,000 SKUs, with a heavy focus on groceries and fresh food offerings like grab-and-go meals, which Iannone has said are the consumables that members buy most often. That includes testing electronic shelf labels that will immediately update prices and eliminate the task of having to print and replace new-item price signs. The 700-plus cameras in the club also will be leveraged to aid in inventory management and help optimize the layout to facilitate shopping, according to Iannone. Overall, Sam’s Club operates about 600 warehouse clubs in the United States and Puerto Rico.